I love multiple exposures. Two of my favorite images from our last trip to Colorado were multiples. Because my Fuji does not have the capability, I brought my Nikon D3x that does. I’ve been shooting a lot of them and having a blast. The posted image is a new favorite. Hi John, I love this post. Could you elaborate a bit on how you set up the multiple exposures to achieve this effect? Many thanks! Sure Tom. On my Nikon, I choose 6-8 exposures per multiple. Then I use the focusing square in the view finder as a guide so I can move up or down in a straight line. 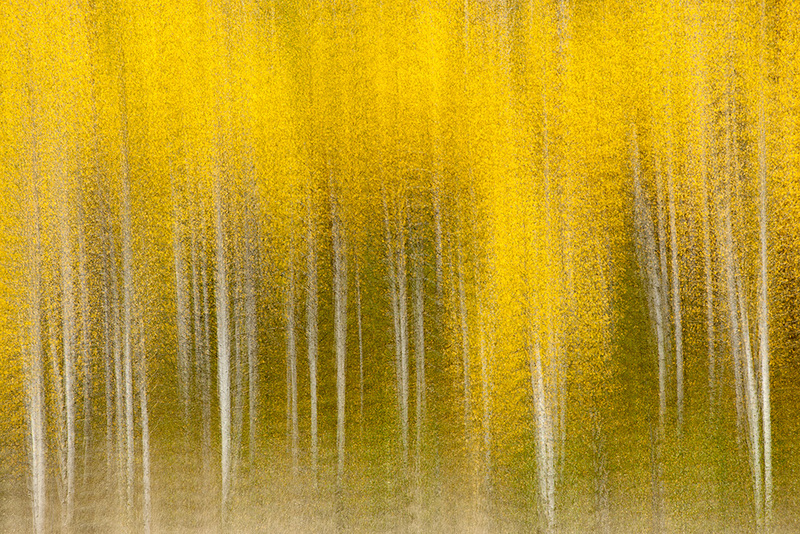 I make very small movements between each exposure again using the focusing square as my guide. I basically make my movements the size of the focusing square stacking one on top of the other… gosh I hope that makes sense. Amazing capture(s). You need to teach this technique at the PEEC Weekend coming up in 2 weeks. This is gorgeous John and I can see why it is a favorite of yours. It’s perfect! Lovely shot as usual, John. That is worth keeping the D3x! Thanks Steve. It was a great trip!